Senior Citizen Insurance - What Types are Available? Did you know that the availability of different types of senior citizen insurance go way beyond your medical or healthcare policy? Different types of insurance are available for seniors when it comes to prescription medication, car insurance, homeowner's insurance, long-term care insurance, and senior life insurance. Don't limit your options when it comes to coverage and benefits. Protect yourself and your family and loved ones in all areas of your life so that you can enjoy your golden years with a minimum of fuss and worry. Continually rising costs of prescription medications are a barrier to the optimal health and wellness of many seniors today. The outrageous cost of many different types of medications to treat chronic illnesses and disease processes has left many seniors choosing between their medications and their dinner. Recently, governmental programs are available that offer prescription medication insurance plans, with availability for some of the best and most affordable quotes coming from organizations like the AARP (American Association of Retired Persons), private health insurance companies such as Humana, and other organizations seeking to lower healthcare costs for senior citizens. Any individual diagnosed with a chronic illness that requires long-term medication will benefit from such an insurance plan. In such cases, seniors may pay 20% to 40% of the actual cost of medication, saving between hundreds and thousands of dollars every year. Health insurance, auto insurance, and home and life insurance can often be bundled into insurance packages from major insurance carriers around the country. Combining insurance policies with one provider helps to save costs and provide the ultimate in coverage for seniors, regardless of their age, geographic location, and physical condition. Many such companies offer medical insurance even for those with pre-existing medical conditions, and changes in Health Care Reform will also prevent insurance companies from declining or denying insurance due to pre-existing conditions. Discuss combining or packaging your multiple types of insurance under one carrier in order to save costs and to increase benefits. Health insurance is a must for seniors, and may be offered through private health insurance providers, Medicare or Medicaid Services, and healthcare service providers such as HMOS (Health Maintenance Organization) and PPOs (Preferred Provider Organization). In addition to basic health insurance, Medicare or Medicaid services, seniors as should also seriously consider Medicare Supplemental Insurance. Medicare Supplemental Insurance policies are known as Medicare gap policies, which help to cover costs that Medicare parts A, B, C or D (prescription drug coverage) don't cover. A long-term care or extended care insurance policy will help cover the cost of nursing home, or assisted-living care facilities, as well as some adult day care services, depending on your length of stay. For skilled nursing and nursing home facilities, Medicare only pays the first 100 to 120 days depending on location, and any care given after that must be paid out of the senior's pocket, unless he or she has some type of supplemental insurance, long-term care or extended care insurance policy in place. This type of insurance will also help to pay costs for in-home health care, as well as hospice care under certain circumstances. Life insurance is also a recommended type of senior citizen insurance for seniors that will help pay funeral and burial expenses, to pay off mortgages, debts, or other financial obligations in the event of your death. Life insurance policies can be small or large, depending on your needs, beneficiaries, and your personal wishes. medical costs, hospitalization, and evacuation back home in the event of a medical emergency or accident while you're traveling. 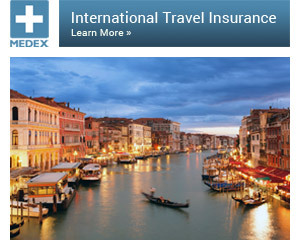 Travel insurance will also help cover the costs of canceled vacations due to natural disasters, or situations that delay or curtail travel plans or stops on your itinerary. When comparing insurance plans for the most common types of senior citizen insurance, take the time to research what's out there, what benefits are offered, as well as any exclusions, deductibles, and co pays. The time you take now will offer you benefits in the future.